Windblown Orion | Just Shooting Memories! This has to be one of my favorite photos of the starts. It is hard for me to get good shot of the stars being this close to Atlanta, but I manage occasionally. I took this one near the observatory on the grounds of the Tellus Museum. I could not pass it up and was pleased with the wind blowing the trees around. 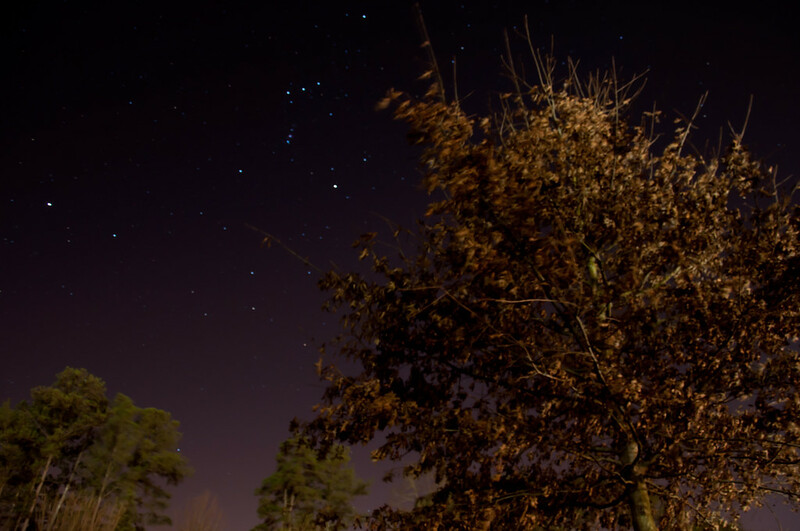 There was enough ambient light near the ground to light the trees up fairly well and keep the stars looking good.